This is our new earring creation inspired by the Dahlia flower. This month, we have a New and Highly Recommended item! yet enables your stationery to be neatly and meticulously arranged! composed with lines criss crossing at higher density at the central area than the outer surface. as well as, its lightness and 'translucency' much like a cloud or smoke. each pen or pencil stands upright in each slot and each looks as if it is floating in a cubic 'cloud'! We highly recommend this item for the guy or lady who loves and treasures his/her stationery! 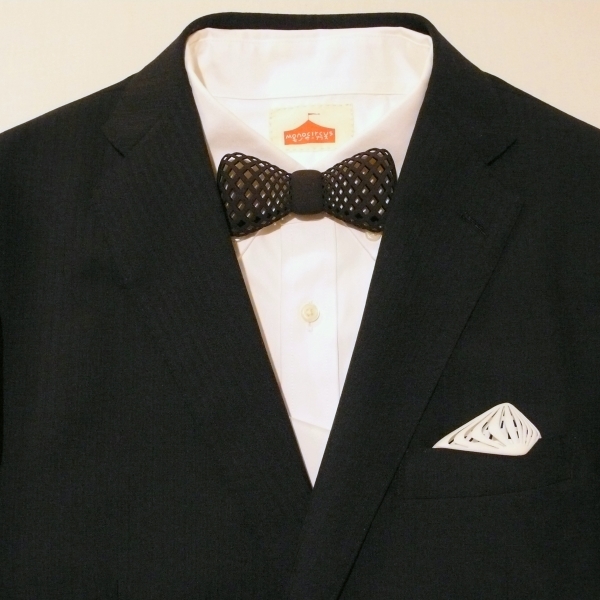 The NEW item to be noted this September is POCKET SQUARE. 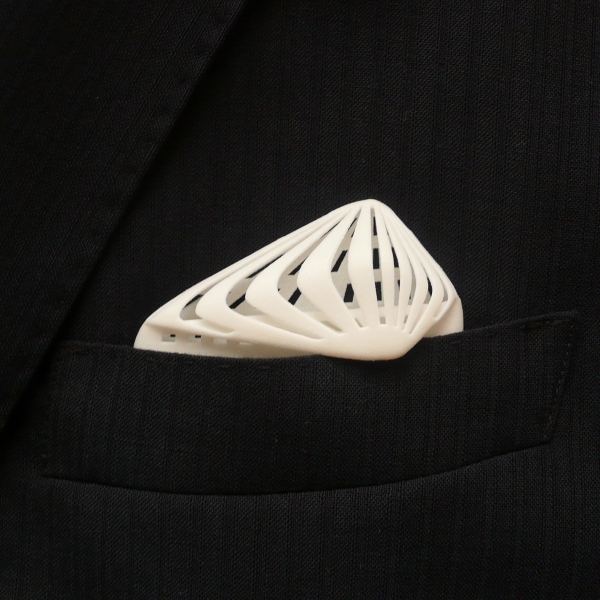 a 3D printed pocket square made in nylon plastic. and it doubles up as a business card case! This is another one of our original idea. re-looking at the things we see around us with a new, fresh and almost naive perspective. Re-thinking about how we might be able to create something new. It is a constant activity that we do. we ultimately make it for real. This month's newsletter has just been released. Please see it in this link!